Bo Brasseur flying in mid-air during her long jump. 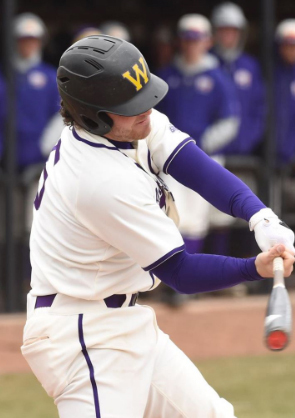 CARBONDALE, Ill.- It was a great weekend for the Western Illinois’ track and field teams, as they began their outdoor season at the two day Southern Illinois Invitational. Ten Division I teams were a part of the invite including: Purdue, the University of Illinois, DePaul, Eastern Illinois and Valparaiso. The Leathernecks left the Bill Cornell Spring Classic notching two event wins, 12 top- five performances and two all-time markers. The two event wins for the Leathernecks came from their long jump teams. Freshmen Gabe Cheeks won the men’s long jump competition with a 7.09 mark in the first round of the competition. Only one other long jumper came close to Cheeks mark, but missed it by .04, granting the victory to our Leatherneck. Junior Bo Brasseur won the women’s long jump event with a 5.98 mark. Brasseur dominated the first two rounds and finished off strong in the sixth round, earning herself an event victory. Our Leatherneck athletes placed in the top-5 in different events during the invitational, along with Cheeks and Brasseur’s first place wins. Freshmen Eric Fox finished in second place out of 24 participants in the discus event. Sophomore Allie Scott earned herself a third place spot in the triple jump event for the team. Junior Michaela Busch participated in the high jump competition, which earned her a second place victory. Junior Allison Richter and sophomore Nick Olson finished in second place for the men and women’s javelin event. Junior Josh Kirby finished the 110-meter hurdle event in fifth place for Western. Freshmen Sierra Long finished third in the 400-meter race. Senior Darius Patterson finished third in the 100-meter race. Junior Nicole Beebe, impressively, earned a second place spot in the 5,000- meter race. Along with Brasseur, Brush and Long, Megan Reed joined these women in the 4×400 relay race, finishing the event in second place for the Leathernecks. Indeed, it was a great turnout for the Leathernecks, but they weren’t finished making history. 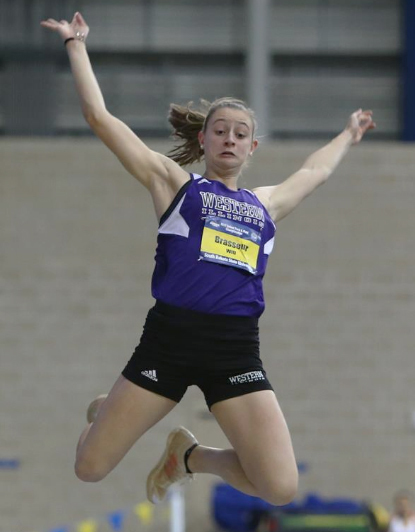 Brasseur and Busch moved up to fourth all time in Western Illinois long jump and high jump history with their impressive performances this weekend. 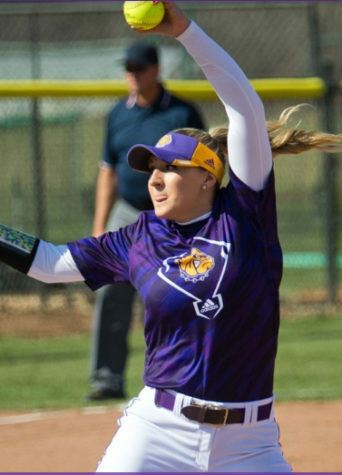 The Leathernecks have another outdoor invite to attend to this Friday and Saturday. They will be headed to Missouri to participate in the Joey Haines Invite on the Campus of Southeast Missouri.